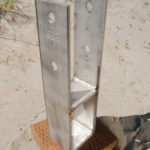 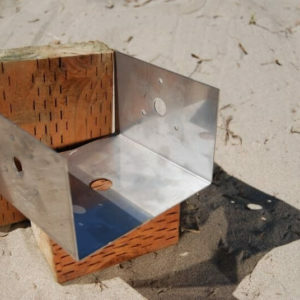 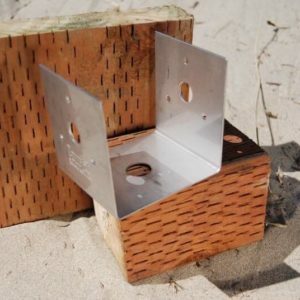 Wet pour Concrete Bracket for 8″x8″ dimensional lumber post. 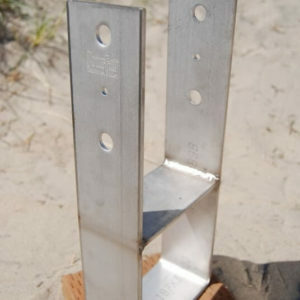 The overall dimensions are 14″H x 7-5/8″ inside dimension x 1/4″x 4″ 316L Stainless Steel flat bar. 6″ set into concrete and 8″ for post support. 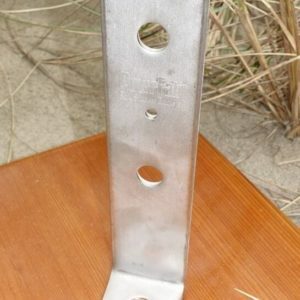 Bolt hole diameters are 5/8″. 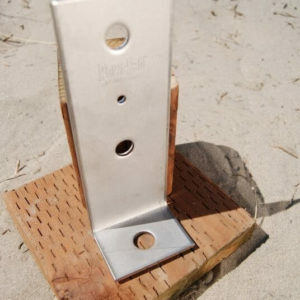 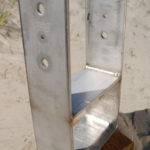 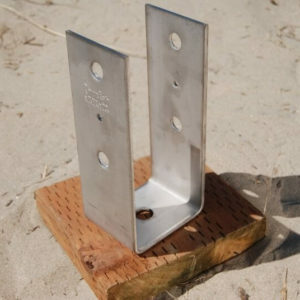 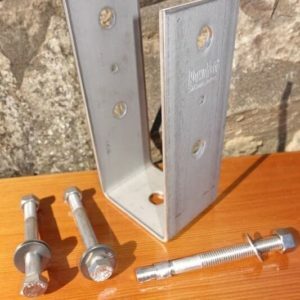 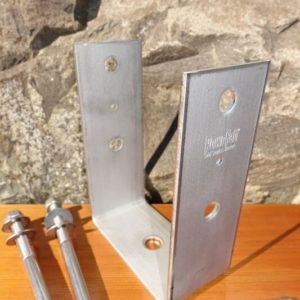 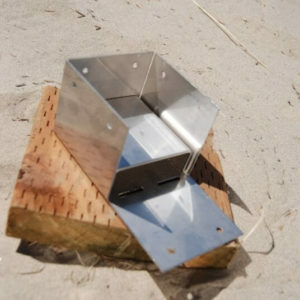 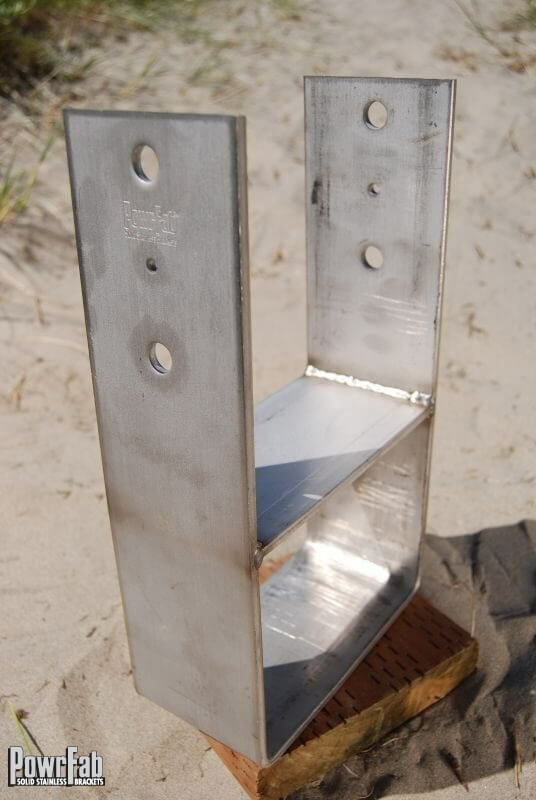 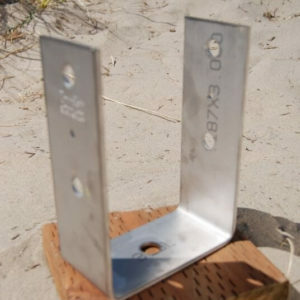 Bracket requires two 1/2″ x 9″ 316L bolts.